A complete guide for Resident Evil 7. 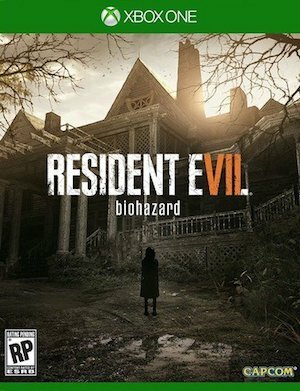 Resident Evil 7 is now out, and much to the relief and jubilation of fans worldwide, who had grown increasingly disillusioned and disenfranchised with the games after Resident Evil 6, and its misguided action focus. Resident Evil 7, on the other hand, is a return to the slow, methodical, exploration based horror style of the original games- and it is that much better for it. It’s a massive game, too- there’s a lot to do and uncover, in spite of its otherwise moderate campaign length. There’s so much to do, in fact, that you might even end up missing entire chunks of content if you weren’t looking for them. That’s where we come in with this guide- in this guide, we’re going to guide you through all the reams of content that Resident Evil 7 has. From collectibles, to unlocking all endings, to tackling boss fights, to getting X-Ray Glasses or Unlimited Ammo, to increasing your health and reload speed, to getting unlockables, all the weapons in the game, and getting past all the puzzles – not to mention, of course, a guide to Trophies and Achievements – this guide will have it all. Let’s get right down to it. Go off the beaten path in Resident Evil 7, and you will be rewarded for your explorative, enterprising spirit. Generally speaking, there are a lot of collectibles in the game that you can get this way- and if you decide that you want to hunt down every last one of them, then why, this video below will definitely help you with that. In the tradition of the best Resident Evil games, Resident Evil 7 has some great, incredibly atmospheric and intense, compelling boss fights. And they are like nothing else ever before too- the game’s perspective alone changes how things play out. So hey, if you need help tackling a stubborn boss? We’ve got your back. Resident Evil 7 is an immaculately designed and balanced game, tweaked to perfection so that every encounter is hard, but fair. Naturally, you want to be an overpowered gun toting grizzled hero. Thankfully, the cheats in the game should allow you to achieve just that! Ammunition is at a premium in Resident Evil 7, which means that every bullet you shoot counts- shoot wantonly and irresponsibly, and you will be out of precious firepower when you need it the most. Thankfully, the game leverages this scarcity of ammunition to deliver one of the most compelling survival horror games we have had- but hey, once you’re done with the game, maybe you just want to go back into it all guns blazing, eh? If that’s the case, then you’ll be happy to know that finishing the game in madhouse difficulty will unlock an unlimited ammo mode for your next playthrough. You know what could help you as you tried to make your way through the demented slaughterhouse you find yourself in? X-Ray Glasses, that let you find every item. If you want to get your hands on these babies, simply finish the game in under 4 hours. I ay ‘simply,’ but honestly, that’s probably going to take you a while to manage. Ironically enough. While we’ve touched upon some of the other unlockables previously in this guide, this section should help you round up the ones we haven’t already discussed. Some of these are pretty good ones, so make sure you try to get your hands on ’em. Yes, Resident Evil has puzzles again! It feels so good to be able to type that. There are actually a whole lot of them in the game, and some of them can be deviously tricky. If you’re stuck on one of these puzzles, there’s no shame to that. And you’ve come to the right place, too- this section of the guide has video walkthroughs for every single puzzle in the game. Let’s get to it. When Capcom said that combat would be an integral part of Resident Evil 7, they weren’t lying. Combat is essential to progressing through Resident Evil 7– this isn’t like those other first person games, where you have to run from everything because you have no capability to take it on in combat. No, Resident Evil 7 gives you the tools to face all the threats in the game. And what tools they are, too! Crowbar: One time use weapon, found on the tanker. Chainsaw: Received by beating the game in under 4 hours. M19 Handgun: Received in the form of a Broken Handgun early in the game. Use Repair Kit in Testing Area to fix it. M37 Shotgun: Received after you get the Broken Shotgun, which you can use to replace the M37 that the statue holding it has. P19 Machine Gun: Found on the ship in the Captain’s Room. You will need the Captain’s Key to unlock the safe that has the P19. Survival Knife: Received after completing Mia’s section near the end of the game. Handaxe: Received after first enemy encounter on the game- make sure to look at the floor. G17 Handgun: Pick it up from the floor right before the first boss fight begins downstairs as you open the garage. MPM Handgun: Received after completing Mia’s Section. Albert-01R: Unlocked by beating the game on any difficulty. Remote Bomb: Found as part of the story. Unmissable. Grenade Launcher: There is a door with a Scorpion lock in the southeast corner of the Baker house. Return once you get the Crow Key to access the room behind it, to get some ammo, healing items, and the Grenade Launcher. Burner: Found on the porch in two parts. Make sure to complete the Light Puzzle. 44 Mag: Received once you exit the Baker House- you need 9 Antique Coins to be able to purchase it.